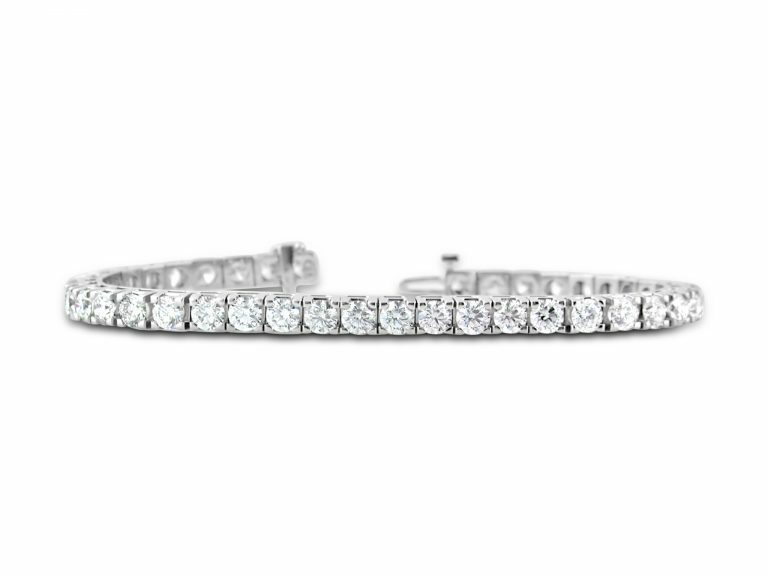 Classic 14kt white gold tennis bracelet, prong set, solidly made with sturdy clasp and safety lock. Different diamond weights and metals are available. Please contact us for information.